There are many investment banking texts out there that claim that financial modeling and valuation is the core work of the investment banker. This is simply not the truth. The core work of the investment banker is origination, mandate/target matching, and deal structuring. It should follow that a text/course on investment banking should be based upon the same. It is the good fortune that the reader has encountered such a book/course. 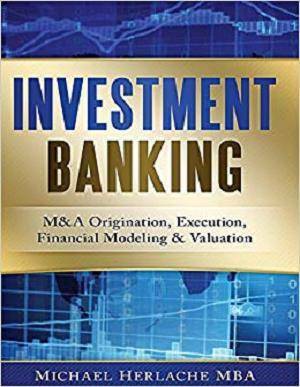 Investment Banking: M&A Origination, Execution, Financial Modeling & Valuation explains origination, mandate/target matching, and deal structuring (i.e. how investment bankers actually make their money). For those new to investment banking you are first going to want to clarify whether you would like to work on the sell side for a few years or pursue a career in investment banking. The skills that you will need to get started in investment banking are different than those that you will need to have a long and successful career in investment banking. The role in investment banking transforms from one that is research, financial modeling & valuation based into one focused on origination and facilitating the M&A process. M&A (Mergers & Acquisitions) is the core product of investment banking, and the other products, advisory & capital-raising, simply support this. 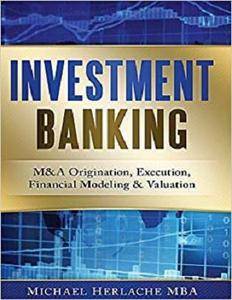 We founded Investment Banking University (www.InvestmentBankingU.com) to prepare students for both bulge bracket and middle market investment banking career opportunities. We see a paradigm shift occurring in the field of investment banking. The idea that you need to spend three years of your life as an analyst doing 80+ hour workweeks building financial models to become an investment banker is a faulty paradigm. The real value add of an investment banker is not financial modeling & valuation, but rather origination, mandate/target matching, and deal structuring. You don’t need Goldman Sachs’ permission to be an investment banker just like you don’t need McKinsey’s permission to be a consultant. Investment banking for private companies in the middle market is a great way to build your initial coverage and career as an investment banker without sacrificing a family life or your health.